The Painted Lady, also known as the Vanessa cardui butterfly, performs a migratory cycle that can reach 12,000 km in multiple generations — a cycle longer than that of the monarch — making it the longest migration known for any butterfly species and similar to that of many birds. These new findings were made by Professor Clément Bataille, a geochemist at the University of Ottawa, along with Gerard Talavera, a colleague from Institut de Biologia Evolutiva. The study was published today in the Royal Society’s Biology Letters. Read a quick Q&A with Professor Bataille. We document for the first time that the Painted Lady flies longer than any other migratory butterfly. She travels from sub-Saharan Africa directly into Europe. Our study showed that the offspring of the butterflies that left Europe in autumn, return to Europe in spring from tropical Africa. 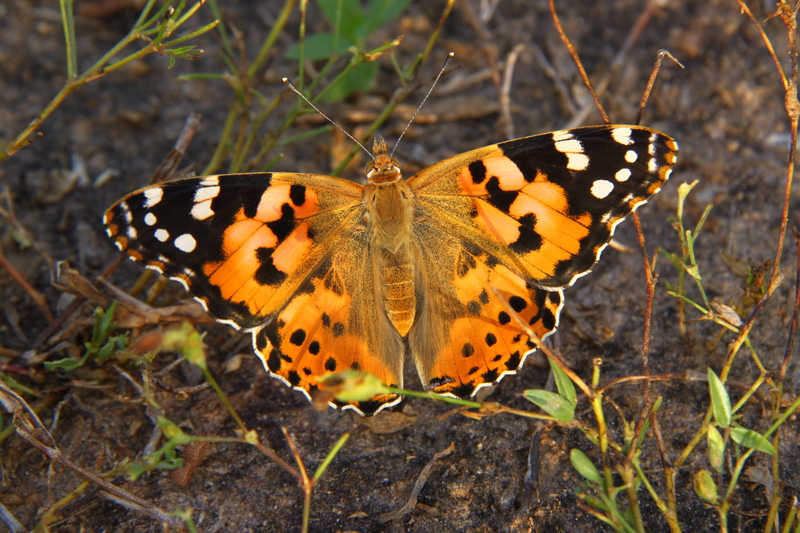 What sparked your interest to study the Painted Lady butterfly? I’m originally a hydrogeologist (I study water and rocks) and a geochemist, so there were little reasons I should be working on butterflies. However, I discovered that the chemical tracers I use to study water and rocks can also be used to study migratory animals. I became interested in migratory butterflies because they’re really hard to track with conventional tools, like observation or tagging. As such, there’s a real need to find alternative tracking methods to better understand these species. That’s where I came in because the chemical tracer I use can be very helpful for resolving questions we could not previously answer about the migration cycle of these species. My research is focused mostly on developing geolocation tools that biologists, archeologists or paleontologists can use to answer questions about their species of interest. How were you able to identify where the butterflies originated from? During their lifecycle, butterflies first feed on plants as caterpillars. 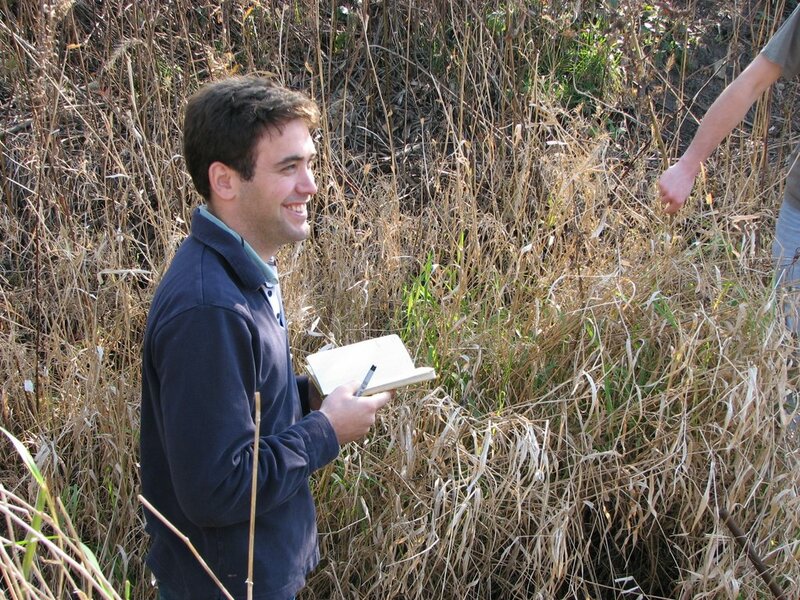 This host plant uptakes water and nutrients from local soils, which have a specific chemical signature. As the caterpillars eat the plant, they incorporate this location-specific chemical signature in their bodies. This signature is then integrated into the wings of the butterfly. Luckily, when the butterfly migrates, its wings preserve this chemical signature of the place of natal origin. We can then build a model to track back to the place where the individual was born. Where can we find Painted Lady butterflies around the globe? The Painted Lady (aka Vanessa cardui) is actually the most cosmopolitan of all butterfly species. It’s found in all continents except in most of South America and Australia. Do butterflies follow the same migration paths every year? Is it innate for the young butterflies to know where to travel to? That is actually a debate that we partly solve in this paper. Because we show that the butterflies return from the Afrotropics to the Palearctic, we demonstrate that this is a regular migratory cycle. But yes, butterflies follow similar paths every year. These paths need to be understood at a large scale (there is definitely variability because destinations and sources vary depending on the rain patterns and the availability of food resources). It’s very likely that butterflies are genetically coded to orientate and navigate given particular environmental conditions. In the future, we’d like to locate, more specifically, the most likely breeding source areas of the migrant butterflies and ultimately improve our understanding of the migration cycle to help to better focus conservation efforts. - It has a lifespan of about a month and travels hundreds of kilometres. - They surf the wind at speeds up to 45 km per hour. - They can fly against the wind if it’s against their preferred direction. - They have internal orientation and navigational systems. - It has pointed wings and is salmon-pink in colour.